This is one of the poems I read last Tuesday March 15, 2011 at 7:30pm in the Artists Union Gallery for the first reading from my new poetry collection Middle of the Night Poems From Daughter to Mother :: Mother to Son (en theos press 2011). I’ll be posting links to all the poems I read next Monday so you can experience a “virtual” reading if you weren’t able to be there in person! Pictured above is the broadside that was published in ArtLife Limited Editions in November 2003; it’s also on the inside cover of Middle of the Night. The original painting of my pregnant belly by Alan Sailer (with some manipulation by me) is a recurring motif in the book (it’s pictured in color on the back of the book too). 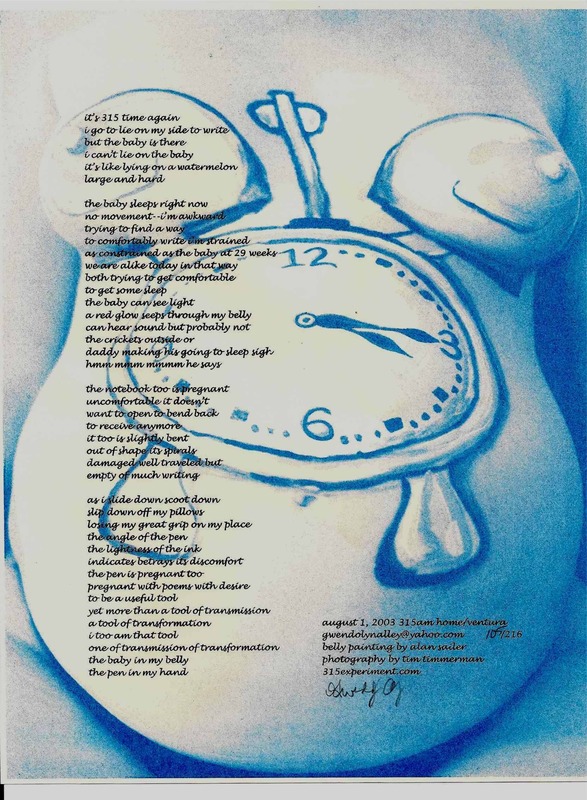 After Alan painted the clock, my belly was photographed by Tim Timmermans and I then used an ink printer in blue then copied the poem on top in black. Broadsides were signed and numbered and published in ArtLife Limited Editions in November 2003. I still have some for sale if you are interested. 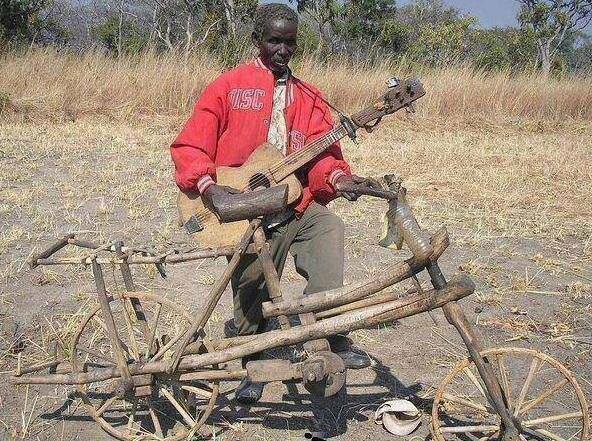 If you click on the image, it will enlarge and you can see more detail.